Mac users trying to play SimCity have had trouble installing and launching the game. Still contending with the fallout of its disastrous SimCity launch on PCs, Electronic Arts appears to have another Sim-centric situation on its hands. After being delayed several times by the publisher, SimCity finally made its way to Mac users today. Now, it's looking like the game might have needed a bit more time in the crockpot. Many Mac users, attempting to play the game have found themselves unable to even install it. While some could chalk this up to their systems simply being too old for the new game, problems have apparently been occurring on computers old and new alike. While some have been able to get the game working, many others are still struggling, in some cases having to reinstall EA's Origin download application multiple times. Even after a successful installation however, many users have reported issues getting the game to start up. Other problems like persistent lag and an inability to play it in full-screen mode have also been occurring. 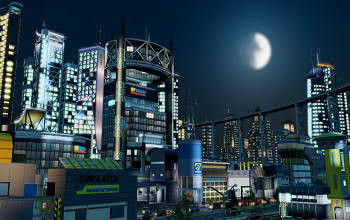 A spokesperson from Maxis responded to the situation stating that "There are a small number of players who have encountered issues with SimCity for Mac. Our live team is working individually with our players to resolve their issues and get them into the game as quickly as possible." Regardless of whether or not the Mac version's problems are as persistent or widespread as they were on the PC, it's still a bad situation for EA to find itself in again, especially with the same game. Logic would just seem to dictate that, after all the hubbub surrounding the game's original launch, it would make sure the Mac release went off without a hitch.